Find out why Pearl Realty is North Idaho's most highly rated real estate company by browsing through our company reviews! "When choosing a Realtor there is a difference and the difference is significant. Over the past decades it has been a privilege and wonderful journey for me to live in some very desirable homes in some very desirable places. These wonderful experiences have also brought me in contact with some of the best Realtors in the country. In my opinion, Joel Pearl, is one of the best Realtors in the country. It’s always interesting to me to see if I can get a Realtor to discount their commission when discussing the listing. A little game yes, but it shows me their negotiating skills. Most Realtors agree to discount the commission within fifteen minutes. After spending fifteen minutes with Joel Pearl I didn’t even consider asking for a discount. Somethings are just worth it. From discussions over photographs, lighting, time, marketing, price, Joel was on "it." Actually way ahead. Several times I asked Joel a question and he had already been 1-2 steps ahead foreseeing the issues. Joel is a proactive Realtor and a very strong negotiator. When visiting his office (stay away from the snack bar!) my feeling was everyone there was involved with my transaction. It felt like a real team effort. I felt special. This was not a large commercial office with agents individually competing with each other. It’s a unique approach to real estate with Joel’s clients benefiting the most. It’s different. It's more of a boutique personal feeling. They get it. The Pearl Realty group really gets it. I would highly recommend Joel Pearl and his team when deciding to purchase or sell your home. You’ll notice the difference." "We worked directly with Jeff Kreis wonderful guy and easy to work with. He kept us up to date through the selling process and seemed to genuinely care about our future. Would recommend him and use him again in the future." Owen Cotter has been incredibly helpful, answering questions, doing research, taking calls, etc. All around great realtor and company! Thank you. "Joel and Robin took care of us from the marketing/sale of our home to the purchase of our new home. Thanks for a great team experience!" "Robin Bundy was immediately responsive to our needs. When we changed paths, he immediately adapted. Even anticipating our needs!" "I've had no hiccups along the way. Your team has always done a great job with all my real estate needs. The Pearl Realty Team was very professional, answered all of my questions along the way, were easy to contact and I had a great experience with them." "If you want an adventure-filled real estate experience full of heart break, missed appointments, last-minute hiccups and used car salesman approach -- Pearl Realty is NOT what you are looking for. Consider one of those national chains with agents who took a "robust" online class and passed an open book test. Those are the agents for you! Things you'll unfortunately miss in your real estate journey when NOT choosing Pearl Realty are the following: people who care, a commitment to you and not to "the deal", trust, Amy, free office goodies, and enjoyment. I know what you might be thinking - why partake of such outrageous blessings when you could easily have another Real Estate "team" and get the opportunity to learn and grow through trial, mistakes and second chances? I get it...I really do. I understand that you have to break some eggs to make an omelette. I guess I am just a guy who wants something "less" for my personal real estate adventures. Thank you Pearl Realty. Don is absolutely amazing. Joel is pretty great too.."
"For six months, we have searched, to no avail, for a home in northern Idaho. Finally, we decided to switch our quest to the Hayden/Coeur d'Alene area. We were getting desperate and had to find a suitable and affordable property within a month. Joel Pearl of Pearl Realty matched us up with one of his buyer specialists, APRIL BRYANT. What a blessing that was. April found us exactly what we wanted in less than 24 hours .....just like a fairy godmother ! That was not the end of it, for she walked us through every step of the home purchase from initial viewing to closing with professional expertise and unlimited patience. Although we encountered several complications along the way, April solved every problem with calm assurance.....just like magic. By the end of the month, we were in our own home at last.. In years past, I have purchased several properties across the country in other states. This was the smoothest and most pleasurable transaction I have ever experienced ! Thank you, APRIL BRYANT and PEARL REALTY. You are the best.!!!" "Joel is a great negotiator and worked for our best interests, always communicating with his clients. He works to get the best deal possible." "Robin Bundy kept us informed on multi-family real estate daily. This is the 3rd property we have used Robin for in the last few months. We will keep using Robin for additional purchases. Properties have been closing on time with no problems; we will still purchase a few more this year and a few more next year." "Hi Tony, We’ve bought and sold a lot of homes and real estate in our long lives and you have been the absolute best agent we have ever had. Your attention to every detail from start to finish was impressive. And, the stellar performance didn’t end there. As we’ve continued to have questions and problems to solve, you’ve immediately responded to every query, never once making us feel as though we were imposing on your busy day. Throughout the whole process, you were kind, thoughtful, and resourceful beyond our expectations. We cannot thank you enough. It has been such a pleasure working with you and meeting you. We wish you continued success, and...be assured that we will recommend you to everyone we know interested in moving to CDA. Please tell Joel that he made an awesome hire when you came on board! Again, we thank you so very much for making the whole CDA real estate experience so enjoyable. We love our new home." "Jeff was able to advise us properly during the entire sale process and he and the staff were always available. We felt like we were a priority." "Robin was great! He helped us during the buying process." "Jeff did a super job for us, he's the best. Joelle is an angel, she helped me with things that I could not do. She's a keeper." "Pearl Realty provided excellent pre-listing guidance and advice and led us through the entire process with a direct and forthright approach. They always responded quickly and effectively to any questions and/or issues which arose. The overall experience was professional and swift." "Robin did an excellent job, set up appointments to see houses with little lead time from me. No pressure. Easy to work with." "Thank you for all your hard work. It was a challenging situation with a tenant in the house and all of the juggling that had to be done. All of you made this deal very easy for us. Through the process we felt well served and knew the details were taken care of. Everyone (especially Jeff) treated us like we were the only deal they were working on. The Pearl Realty team is no doubt the best real estate group that we have worked with!" "We came to appreciate the wisdom of the organization in it's a division of labor based on expertise. The result led to a very focused and responsive staff. Thank you for ALL your efforts!" "Joel, I have to tell you how much I appreciate your help in closing this deal! I know you have gone out of your way to make up for the actions of other individuals. You have been so kind, honest, and professional. I have so much respect for your integrity. Also Sara is a huge asset to your organization and has always been so helpful and cheerful. I wish I knew how she did it! Again, thank you ever so much!" "The Best! Would never even consider using someone else. Not only very competent at their jobs, but easy to work with and made friends for life!" "The Joel Pearl Team provided us with exceptional service throughout the sale of our Coeur d'Alene home. His attention to detail and inclusion of all team members in the sales effort was superlative. We were apprised of any changing market conditions on a timely basis, so no surprises occurred during the time of our listing. I would heartily recommend Joel Pearl to any prospective seller or buyer of homes in the Kootenai County area. 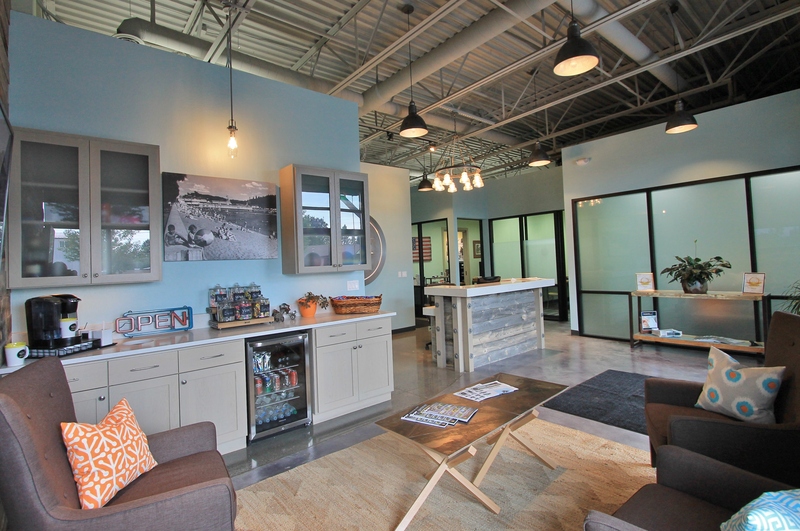 His boutique approach to real estate sales is a winning recipe for success. He is a consummate professional in every sense of the word." "I have sold 3 properties through Pearl Realty and have had nothing but great results. These realtors really went to battle for me and looked out for my best interest!" "We are so grateful to have found Pearl Realty and count it a privilege to have the opportunity to share our experience. We listed our home in Hayden Lake in the fall of 2015 for two months; we allowed the realtor to set the price and were unsuccessful. We listed in the spring of 2016, again allowing the realtor to set the price and did not sell our home. When you contract with a realtor to sell your home, it would seem foolish not to allow the expertise you believe them to have to guide the process... We did not find that to be the case. Our home was beautiful, immaculately maintained and in a very good area, and yet it did not sell. This underscores the need to do the research necessary to find the best realtor with whom to work. When we met with Joel & Jeff, they stressed that a home such as ours should sell very quickly in this market provided it was priced correctly and the proper marketing was put in place. Coincidentally, the price they decided upon was exactly the price we had suggested to the two unsuccessful realtors. With Pearl Realty in charge, our home sold in less than a week! We actually had to decide between a full price cash offer of 425K and one that was 5K over our asking price, but was not cash. We cannot say enough about the excellence of Pearl Realty in every regard. They know their business; they know this real estate market and how to successfully market your home. The two former realtors were both very nice people, but they lacked the expertise you will receive when you choose to allow Pearl Realty to sell your home." "Working with Pearl Realty was like working with family. They worked hard on our Behalf and stuck with us even though we had a unique property that proved difficult to sell. We can't thank them enough!" "Thanks Jeff Kreis & the Pearl Realty team! You are all very quick, easy to work with and professional. We had a great experience." "We appreciated the professionalism that the Pearl Realty team demonstrated all the way through the sale transaction of our home. Feedback of showings for our home were timely (when agents chose to participate) on their showing app. The initial Facebook pre-sale generated significant interest and the sale of our home was accomplished in less than four months. We are pleased that we made the decision to list with Pearl Realty and will highly recommend the team to friends and family in the future." "We hired Pearl Realty to sell our home and purchase a new home. The experience on both ends was awesome. Jeff and the staff of Joel Pearl were professional, friendly and knowledgeable. The home we purchased was new home construction, and Jeff did a great job as liaison between us and the developer. He provided the knowledge of construction management that we lacked. It was a great experience all around." "We could not have asked for a better Group of people working to sell our place than Pearl Realty. From the photographer that Joel hired to take the pictures of our place and working directly with Joel we were able to sell our place in 1 day once it hit the market. Pearl Realty has a high degree of integrity and we will continue to use them as our Real Estate Professionals to meet our needs in the future." "I was extremely lucky to have Jeff Kreis as my Realtor. He was always professional and made the whole process run so smoothly." "Jeff was very patient with me and answered many probably dumb questions! Jeff and all the staff treated us well and with no judgements." "Very professional, great response, knowledgeable, and excellent about following up!" "Thank you to Jeff! We are very happy with our new home!" "Joel Pearl and his staff are simply the best! My home sold in days, as I priced it at his recommendation. I am an out of state owner, and I can tell you that I had the utmost faith that my house would be looked after and sold, I never worried. That is the kind of trust that you cannot put a price tag on. This is a business that deserves top marks for integrity. I cannot recommend them highly enough!" Thank you so much for helping to sell my house. I appreciate all the hard work you did to make it a success! "Very friendly and professional. It's not every day you are asked to sell a castle, but you did it! We appreciate the setup of the office as a team. We look forward to working with you more!" Thank you so much for all your help with the buying and selling of my homes. It was quite an experience! Your expertise and help were invaluable during this process. Again, thank you so much!! "Jeff was an excellent agent. He was responsive, patient, and receptive to our needs. He got us into a great house that met all of our requirements and we closed the deal before it even hit the market!" "Pearl Realty is a fantastic team that works together to complete your home sale. From marketing analysis to ensure you are pricing your home correctly to professional pictures and thorough descriptions they are like having a publicists when you are trying to sell your home not just a sales person. They help you show the best qualities of your home and then make sure everyone knows it. They have state of the art technology that is wonderful. They provide weekly marketing reports that let you know what the company is doing to sell your investment and viewing notices to let you know when there is a showing and how it went. If they put this much time and passion in the sale of a home I can only imagine how hard they work for you when you are buying a home. I would definitely use them again and recommend them to everyone I know in that area." "Joel and his group are a very professional team. Their knowledge of the entire market is impressive. Lots of agents can talk the talk but this group walks the walk. Give them a try, you won't be sorry." "After selling three properties with Pearl Realty, I wanted to share my well-earned five star review. I've found Joel and his associates to be very dedicated, hard-working professionals that make you feel like you are their priority. As a home buyer/seller I've developed the opinion that communication can be pivotal in these transactions, and Pearl Realty continues to impress in this aspect. In short, Joel will always be our choice and will always be our recommendation to others." "I was very pleased with the buying and selling outcomes. Thank you!" "I've bought and sold several properties over the years with Joel Pearl and it's always a pleasurable experience. Communication is everything during a highly emotional process like buying a home and Pearl Realty was great with maintaining the lines of communication. Thanks!" 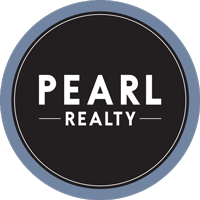 "Pearl Realty has been amazing to work with! They helped us purchase our first home and were very responsive to our specific needs. The entire Pearl Realty team works together and while being professional, they are still down to earth, caring, and very helpful. Thanks Pearl Realty, we will definitely see you in the future!" "The sale of the house went quickly and efficiently with no added stress to us. Thank you everyone at Pearl Realty!" "What a team! Regardless if you are buying or selling they have a personal representative for you. Respectful, prompt and deliver what they promise. Great job Joel and crew! Oh they know real estate too." "Joel recently sold our home. It had been on the market for 7 years and listed by other reputable and highly regarded realtors. His persistence and calm demure succeeded in closing the sale. It took 5 appraisals and probably 5 months of negotiations, but in the end, it was successful. I think Joel's group helped "make" our luck come together." "Jeff went the extra mile to help us!" "100% Satisfied with our experience. Not sure our home would have sold if we used a different agent. Thank you!" "Jeff Kreis was the best we've ever worked with!" "Jeff and Joel found us just the right home. Working with them was always a pleasure. We were house shopping from a distance and always had lots of questions. They were always quick to find us answers and were eager to accommodate several very busy house viewing weekends. I highly recommend the Pearl Realty and will definitely use them again for any future real estate transactions." "Very professional and knowledgeable, the group comes highly recommended!" "I am extremely impressed with everyone at Pearl Realty, I will tell all my friends to use!!!" "Jeff went above and beyond to meet our needs. We are very grateful for their time and efforts." "We've used you guys twice (selling and buying) when we were out of state and you've been AMAZING! I'd recommend you to everyone! Thanks for all your hard work, true concern, and genuine interest in our family." "As a home loan officer in Coeur d'Alene, ID, I understand the importance of working with a thorough, hardworking real estate agent and in this case a whole team! When you choose to work with the Pearl Realty you are working with a team of professionals that each specialize in the different aspects of real estate, whether it be listing your home or searching for your next purchase. Pearl Realty has dedicated people available to help you anytime. They are a superior team that will help ensure you get the best deal in the current market and the most money for your home when you list them. I highly recommend Pearl Realty to anyone." "My wife and I knew we wanted to get "something on a lake", but we were up in the air as to which lake, what price range, lot or cabin, etc.... Jeff was phenomenal, and he didn't blink when he understood where we were in the process. After viewing 3 or 4 places, he was able to hone in on our preferences and articulate back to us what we seemed to be interested in doing (unbeknownst to us), and then proceeded to work with us for nearly a year viewing homes, cabins and property -- across three different lakes. When we finally found "the one". After our offer was made and accepted (with a few contingencies), he took us out again to see all new options on the market to help us make sure we'd made the right choice. He then helped us through all of the mechanics in how to ensure our lot had everything we needed, and introduced us to the right people in the community to help us with all our next steps. Jeff is fantastic. Knowledgeable, friendly, responsive, insightful, persistent -- I would encourage anyone interested in lake property to work with him, he'll hold your hand through the entire process and make sure you get what you want." "Joel Pearl and his team worked tirelessly to sell our home, overcoming many obstacles. We are delighted with their friendly professionalism and persistence and would recommend them to anyone." "Jeff Kreis always went above and beyond getting our questions and needs taken care of. He is a 10 plus!" "We have been working with Pearl Realty for a few years now while looking for a house to buy. We are very impressed with their knowledge, dedication and hard work to find the best house for our family. They are great people and we really enjoyed working with them. We would highly recommend them to anyone looking to buy or sell a house!" "I worked with Jeff Kreis on purchasing a new home. He and the staff at the Pearl Group were terrific! Jeff found a home that met all our wishes and helped secure a good purchase price." "From start to finish Pearl Realty didn't miss a beat. The communication is at a level that I have not experienced with any other Realtor or Group. The follow through was A+++ and the delivery was more than expected. From our first meeting through closing our house, I really could not have expected the customer service to have been any better. Great Job!!!" "Joel has and will remain my Realtor, as well as the rest of my family, for many years. He helped me find a home that I never could have purchased without his help and positive attitude along the way. I will continue to recommend Joel and his team to anyone who's looking for a representative that will stop at nothing to help them buy or sell the home of their dreams!" "Joel Pearl and his group, especially Jeff, recently helped my wife and I purchase a home. The process was complex due to the loan that we used however they guided us the entire way. They treated us and everyone involved with respect and honesty. Any questions we had were answered promptly and honestly as well. Joel has designed a group that is innovative and motivated. Thank you Joel and Jeff, your hard work is much appreciated." "Joel has helped us successfully sell two homes and purchase two homes. His expertise in the area as well as his ability to negotiate make him a great guy to have on your side. Joel is a man of integrity and truly wants the best for you and your family. I would recommend him and his staff without hesitation." "Great group of people. Everyone who helped us sell our house was knowledgeable, genuine, and courteous during the whole process." "Our experience with Jeff Kreis at Joel Pearl could not have been better. We just closed on our waterfront dream home this morning, after almost a year of negotiating a very complicated transaction. Jeff went the extra mile throughout the process, ensuring every detail was covered and our interests were protected. We highly recommend the services of Jeff Kreis." "Working with Pearl Realty was very rewarding. The group is very proactive, responsive and thorough. I have worked with other realtors before and this group exceeding all my expectations. I would highly recommend there teams for buying and selling (I did both)." "We were very impressed with Pearl Realty. Our house sold within a few months of putting it on the market. Anytime we had a question, they had an answer. Their advice was spot on in every aspect. Thank you for a great experience." "Joel and his team were very diligent and knowledgeable throughout the entire process. We had a somewhat serious hiccup in the end but thanks to their help everything worked out." "First, congrats to Joel, the top selling real estate agent over the past 2 years in North Idaho. Do you want to know why Joel is the top agent? I'll give you a short story. Several years ago when Grandma Millie passed, and Carol chose to sell the family home in north-central Washington near the Canadian border, Joel offered to telephone 3 different real estate agents in this distant small town to give each a thorough telephone interview to find which agent would be the best to choose to list the home. That done, the out-of-town agent was chosen, and the house was sold the next month. So you tell me.... what agent do you know who would conduct telephone interviews with 'out-of-town' real estate agents to assist with a distant house sale?" "You could not find a better Realtor or more honest person. He and his group provided us with excellent information on the value of our home and the best way to market the property. We were kept well informed throughout the process and a well-qualified buyer was located. The follow through including the closing was excellent."